This may seem an odd question because surely all garden tulips come up year after year anyway and without any help from the resident gardener. In fact if they were that 'precious' would they really be as popular as they are today? Well most new, cultivated varieties require little assistance when it comes to overwintering, but the practice of lifting, and safely storing tulip bulbs has been going on for centuries and not for the reasons that you might think. 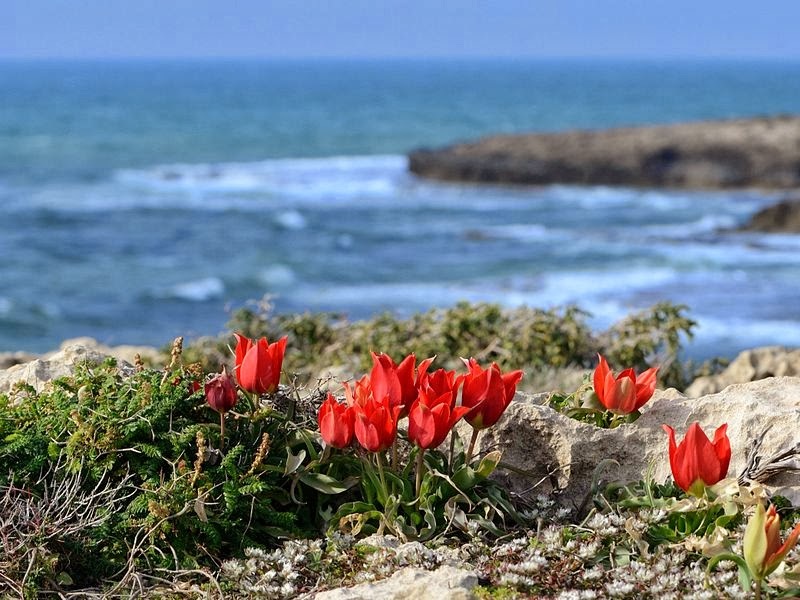 Tulips originate from the mountainous regions of north Africa and southern Europe and so it isn't the cold they have problems coping with, in fact the tulip family includes a number of specialised, true alpine varieties that absolutely thrive in cold conditions. However, in order to survive the extended periods of sub-zero temperatures alpine tulips have evolved thick outer shells with a layer of fibrous insulation underneath - Tulipa wilsoniana is an excellent example of this. Don't forget that almost all tulips will need a period of cold dormancy otherwise they would be unable to initiate flowering come the spring. The problem with overwintering tulips - and it is because of their mountain heritage - is that they are intolerant of wet soils while they are dormant. This isn't just a winter problem, catastrophic rots can occur over wet summers and autumns too once the foliage has died back. The key to successful overwintering is to provide a dry root environment and this should be addressed at the time of planting, so make sure the soil is either free draining or in a raised part of the garden. Quite simply you are mimicking their native habitat which is rocky, has little rainfall, and if there is any water in the soil it would still be unavailable to the plants roots as for a large proportion of the year because it would be frozen! In the garden environment then it is well worth adding plenty of grit, perlite etc, to the soil so that if you are in an area prone to plenty of rainfall it will quickly drain away from the roots. In addition - and it is a little unsightly - you can also consider covering the areas where your bulbs are planted with raised protection in order to keep the rain off the soil, but remember you will also need to allow good air flow.This can be removed in the spring as soon as the new growth shows through. Of course you can always go back to old school gardening practice and lift the bulbs once the foliage has died back, keeping them in a cool dry environment until replanting just before the beginning of winter in November/December. Even now you can still have them with raised covers if rainfall is expected. Gideon Pisanty file is licensed under the Creative Commons Attribution-Share Alike 3.0 Unported license.